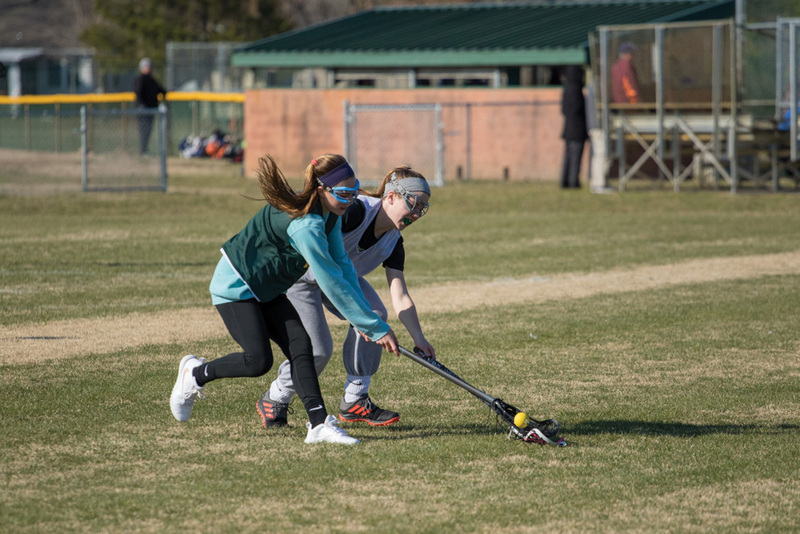 Two IR players fight for controll of the ball during lacrosse practice on Tuesday. Coming in to its fourth year of existence, the Indians program has managed just 14 wins over its first three seasons. 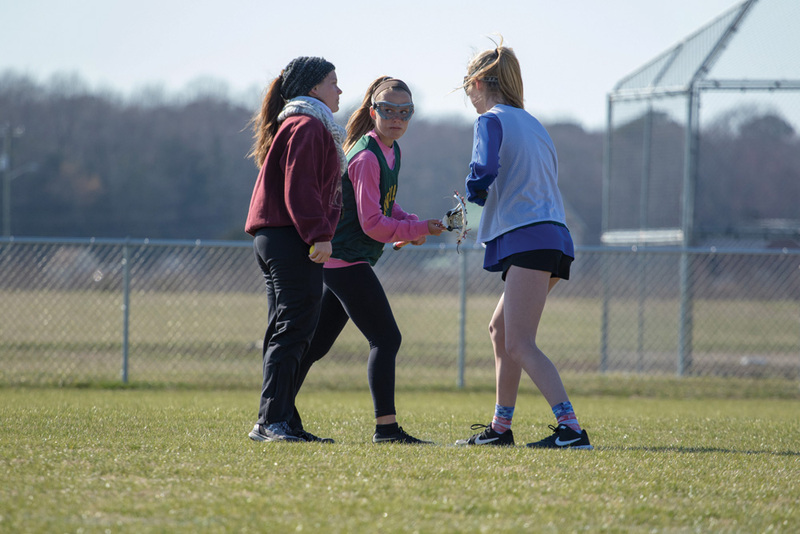 However, with second-year head coach Cat Roselli leading the charge, IR is hopeful to finally turn the corner and reap the rewards of all their hard work and preparation for the season. 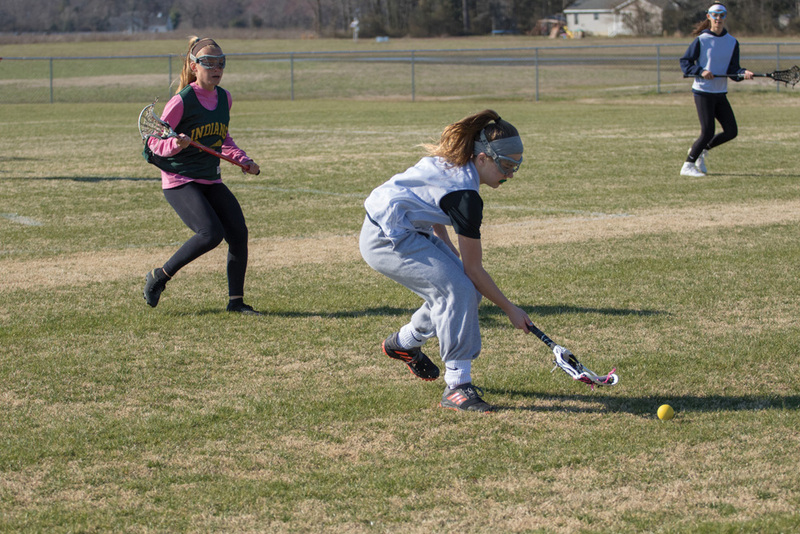 “This season, we have grown into a full varsity and JV program, with the most girls we have ever had try out,” an excited Roselli said. “We know we have to fundamentally continue to improve as both a player and a teammate for us to have success. We would like to break last year’s record,” she said of the 5-10 run. Roselli will be assisted by Steve Szlasa, and Chuck Ziethen will be the coach of the JV team. The Indians will have the services of several key returning players this year, namely Lexi Webb, Bri Dulsky, Hannah Dunlap, Kaylee Hall, Drew Szlasa, Allyson Clark and Karla Castillo. Replacing four key members of last year’s team — Kealey Allison, Delaney Brannon, Helen Davis and goalkeeper Mya Parks — will not be an easy task. Newcomers Emma Ruley, Caylee Schmidt and Victoria Ziethen are expected to be contributors to the team’s efforts this season. 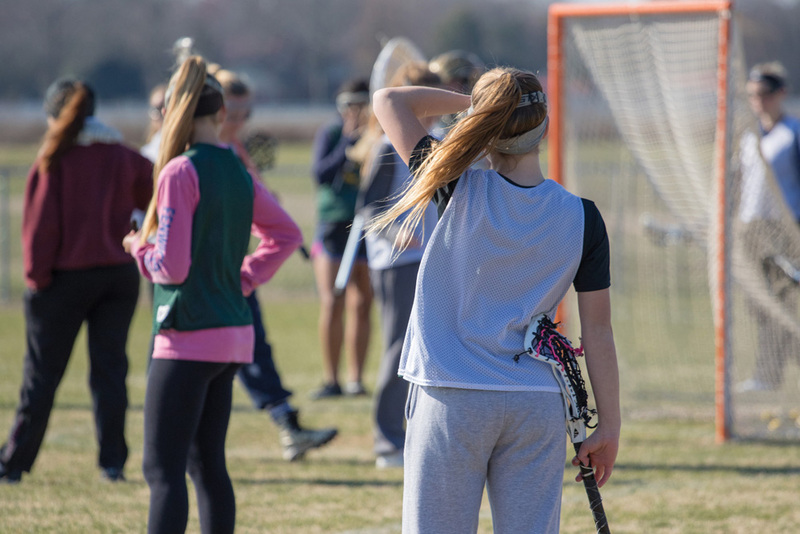 IR will once again have a 15-game schedule, with some tough competition among their opponents, including perennial Delaware state powerhouses St. Mark’s and Cape Henlopen back-to-back in games on Saturday, April 6, and Wednesday, April 10, respectively. The Indians will open their 2019 campaign with three straight home dates, beginning on Wednesday, March 27.